Homemade Biscoff Cookies / homemade speculoos are simple to make and hugely rewarding. They are even more fun when you write a custom message on them! Biscoff cookies are a simple cinnamon/sugar biscuit-type cookie with an ingredient list that doesn’t contain any funky chemicals or high fructose corn syrup! Biscoff stands for “biscuit” plus “coffee” (it’s served with coffee – it’s not coffee flavored). I decided that I had to make some myself. I include the recipe below, but if you don’t have time to make homemade Biscoff cookies and can’t find them at a store near you, they are easy to find online. 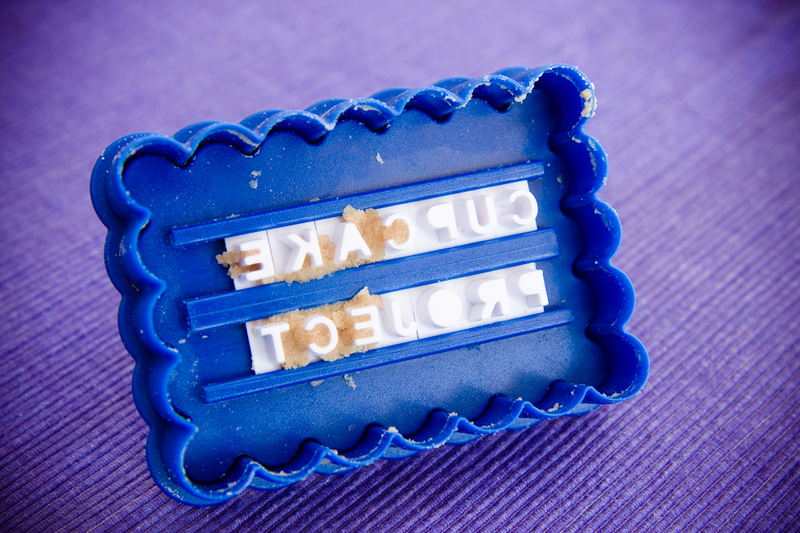 To brand my homemade Biscoff cookies, I used Williams Sonoma’s Message-in-a-Cookie Cutters. 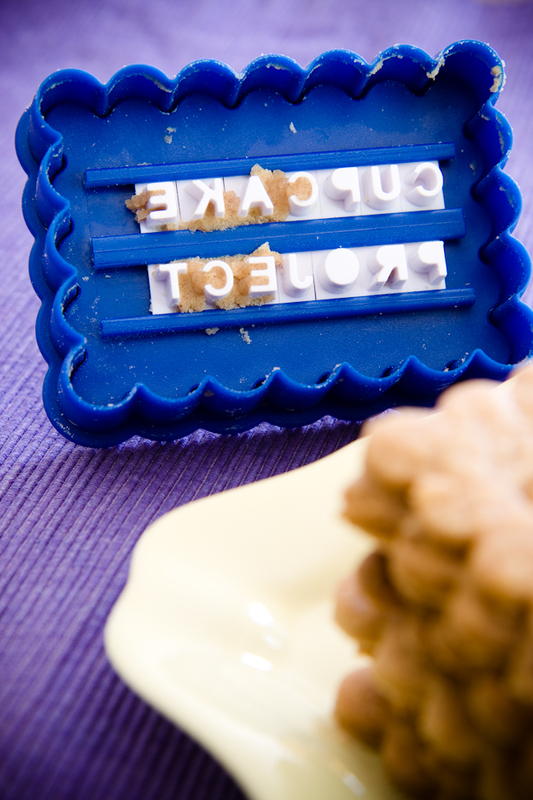 The cookie cutters come with letters that you slide into the cutter to write any message. They were super easy to use. 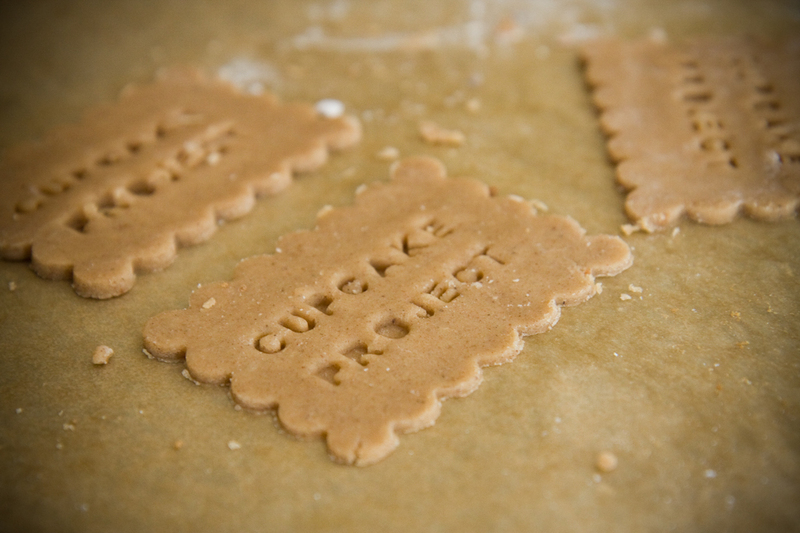 The only hard part for me was figuring out how to write “Cupcake Project” mirrored so that it would look correct after being pressed into the Biscoff dough. The cookie cutter set also came with a heart which would be so perfect for custom Valentine’s Day cookies. Here is my reprinted version of Matzo & Rice’s Biscoff (speculoos) cookie recipe with a few notes. The only change I made was to omit sprinkling sugar on top of the cookies. I didn’t think that was necessary. Cinnamon/sugar biscuit-type cookies made with only wholesome ingredients. In a medium-sized bowl, mix together flour, spices (cinnamon, nutmeg, ginger, allspice, and cloves), baking soda, baking powder, and salt. In a separate large bowl, cream together butter, sugar, and brown sugar with an electric mixer on low speed. Mix in the vanilla extract. Gradually blend the flour mixture into the butter mixture until it is well combined. If you choose to bake it as a large sheet, bake for 20-25 minutes. Cut out cookies to shape as desired. If you choose to bake it as shapes, place dough shapes onto parchment paper and bake for 12-15 minutes. Cool on cooling rack before serving. These are best once they have cooled. If you you really like Biscoff, you can and should get one of the many cookie spreads on the market and use it to frost a cupcake – like I did in my peach cobbler cupcakes.